AMERIGET has extensive experience over many decades working with clients such as Shell, BP, Woodside, Origin plus numerous EPC’s. As such we are familiar with client specifications and the requirements for design, manufacture, transport and installation of their equipment. AMERIGET has the capacity for thermal design and vibration analysis of Shell & Tube Heat Exchangers and Air Cooled Heat Exchangers, using HTRI software. This capability includes the thermal design of High Pressure Feed water Heaters for the power generation industry. In addition, AMERIGET has a full Engineering Department which services the process, mechanical and structural design to a variety of Australian and International codes, applicable to the markets the company supplies. These include AS 1210, ASME VIII Div 1 & 2, BS5500 & TEMA. 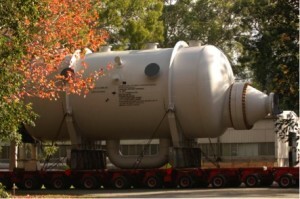 Our design experience includes Shell & Tube Heat Exchangers, HP and LP Heaters, Autoclaves, Pressure Vessels and Process Vessels for onshore, offshore and FPSO installations. AMERIGET has in-house capacity for Finite Element Analysis (FEA) of pressure vessels & components, using ANSYS software. The analysis types include static structural, steady state thermal and transient thermal, applied according to AS1210 or ASME VIII requirements. The combination of FEA with in-house knowledge of fabrication requirements allows AMERIGET to provide complete solutions to clients – from analysis of existing plant problems to executing practical solutions. The company has full in-house drafting facilities utilizing latest edition AutoCAD software. The AMERIGET Engineering Department also has the capacity for plan printing, copying etc. 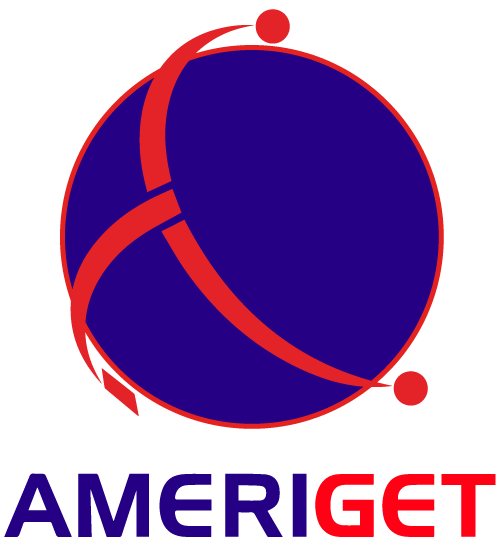 AMERIGET has in-house document control, allowing us to interface with clients in Oil & Gas, chemical process, mineral processing and energy production industries. Our Engineering department has many years’ experience and is well qualified to also perform Design Reviews, and Third Party Design Verification (as a regulatory requirement of pressure equipment). 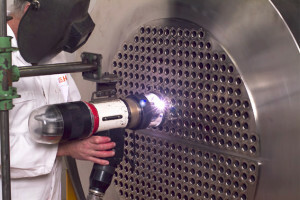 AMERIGET has a unique blend of engineering capability in design, welding and fabrication, all in-house. This allows us to provide unique plant solutions, including thermal and mechanical design re-ratings, and thermal-mechanical analysis of equipment. These capacities allow us to provide turnkey solutions to our clients for plant re-rating, process modification and providing analysis and solutions for plant issues. AMERIGET developed technology and held patents for Flush Batten Strip technology, significantly reducing wear in mineral processing Autoclaves. AMERIGET is currently patenting a new Anti-Vibration Technology (AVT) for use in shell & tube heat exchangers. This technology overcomes problems of existing AVT products, and allows processing plants to increase production in existing equipment while mitigating vibration issues.